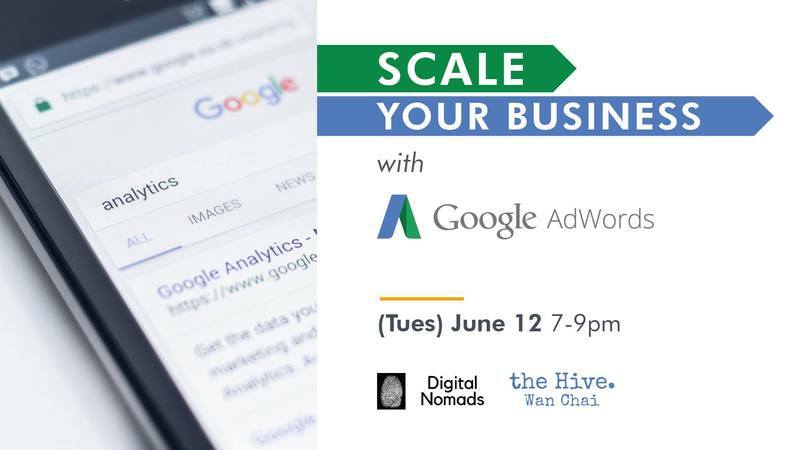 For our upcoming Listen and Learn, we are proud to have Francesco Bonafine from Digital Nomads Hong Kong (Google Partner) give a workshop on how to scale your business with Google AdWords. Every business has the ability to grow their advertising in Google. Come and learn how you can put the right practises into place to get the best results for your company. Admission is free for all so make sure you sign up below to reserve your spot! Francesco has more than 11 years of work experience in IT and Online Business and 7 years of experience in SEM/SEO/Online Advertising and Sales with Google. He has worked for IBM and Google to lead incubator-oriented enterprises to develop market strategies to increase corporate profits and managed online reputations for major brands like Mitsubishi, Ferrari, Louis Vuitton, P&G as well as set up sales teams for Google in various locations. Francesco is Google AdWords/ Analytics and Facebook Blueprint certified. In addition to that he also attended the IBM international sales school in 2006 and completed the Stanford University Project Management Online Education Program in 2011.